The Emerging European 10/40 index gained 5.7% in 2017 and outperformed the MSCI World index slightly at 5.4 % while the Global Emerging market benchmark gained 17.9%. Poland was the best performing market and rallied 33.3% while Russia lost 11.8% and was the weakest market in our universe. All numbers in EUR. The year started with the installation of the new US President Donald Trump and the important OPEC and Russia deal to curb the oil output. Russia started off well and the market was hoping for some sanctions relief with Trump as President which in the end did not materialise. Russia later agreed with OPEC to extend the oil production cuts until the end of 2018 which has boosted oil price, which closed year end at USD 66.8 /barrel. The inflation in Russia fell below the central bank of Russia target of 4% and the reported CPI number at 2.5% is the lowest number ever and CBR cut its benchmark rate by 225 bp to 7.75% during the year. The real interest rate remains among the highest in Emerging Market. Emerging Europe had a decent year in 2017 but was still underperforming global emerging markets significantly. Russia was the main reason behind the lag. Other emerging European markets fared well, up 20-30% in EUR on the back of strong global growth and earnings upgrades. Poland was the strongest market and the financial sector benefitted from reduced concern for a CHF mortgage restructuring programme and a higher potential for an interest rate hike. Poland, the Czech Republic and Hungary all benefitted from stronger GDP numbers and the rising Euro which advanced 14% in 2017. Turkey gained 21% while the Lira dropped. The CPI reached its highest level in more than 10 years and hit 13% in November yoy. President Erdogan won the April referendum and is creating a Presidential system in Turkey. Greece returned to economic growth in 2017 and stabilised its relations with the Troika. Introduced reforms, among other with banks, supported the equity market. We believe the outlook for 2018 is quite benign, Central Europe, Greece and Turkey performed strongly but markets have not re-rated in terms of P/E valuation because of robust earnings and earnings upgrades. In Russia growth is picking up which together with a higher oil price creates a situation where the dividend yield once again could be among the highest in the world. The central banks did not deliver in accordance to that was required from them in 2017, under the current condition and market outlook, so the expectations on further rate changes in 2018 is high. 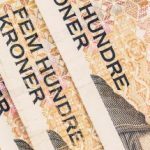 What impacts the Norwegian krone price to the euro and why is the Norwegian krone so weak? 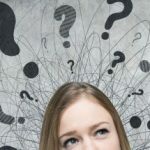 These are frequent questions since some time and it is easy to understand why investors ask these questions. The Norwegian economy is going to once again be the outliar with a likely much stronger GDP growth in 2019 compared to the rest of Europe. Norwegian interest rates are positive, yes you read right, and the central bank recently hiked interest rates and upped their interest rate path. 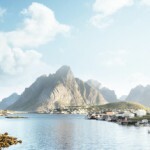 Nordic green bonds – is it greener in the Nordics? The Nordic capital market was early on putting sustainability and ethical investing high on the agenda. Especially large institutional Swedish investors have been driving the demand and other investors have followed. It is maybe not that surprising that the Nordic region played an important role in introducing green bonds in the global capital market.